DON’T YOU THINK IT’S TIME FOR DISCLOSURE OF THE EXTRATERRESTRIAL PRESENCE WITH US? THE EXTRATERRESTRIAL PRESENCE WITH US? Earth humans have walked with extraterrestrials for thousands of years. It is only the modern Earth human that knows nothing of our galactic brothers and sisters. Many spend hours reading the Bible, yet have not the understanding to recognize the biblical encounters with extraterrestrials. For years, biblical scholars have puzzled over the Book of Ezekiel and the vision he describes. 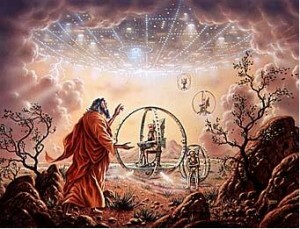 Why do we not make the connection with Ezekiel’s vision and the UFOs we hear so much about? Are we not curious? … OR … Have we allowed our minds to become so empty that we no longer ask questions? Cedric Leonard was curious. His analysis of Ezekiel’s vision is well worth the time to study and hopefully expand our minds! Do we really want to settle with knowing far less about our galactic family than our ancestors did? Do we willingly choose to continue living in the past with its antiquated ways? Why do we not absolutely insist that the US Congress hold hearings to listen to the testimonies of those who have encountered extraterrestrials who far exceed Earth humans in spiritual maturity and technological advances? Why are we choosing to remain in the 1st grade when we could be advancing in knowledge and evolving into a galactic human and join the cosmic community that exists behind the veil of our ignorance? Enjoy Dr. Leonard’s exploration of Ezekiel. May it stimulate your mind and cause you to want to know more! Filed under: Congressional Initiative for Disclosure, Extraterrestrials, Ezekiel's Wheels |	Comments Off on DON’T YOU THINK IT’S TIME FOR DISCLOSURE OF THE EXTRATERRESTRIAL PRESENCE WITH US? WHAT DO “THEY” …THE ETs … WANT FROM US? Especially in the United States, we appear to be born into a box. We are comfortable and safe in that box—not much room to explore or change. In my case, Mother made me comfortable by placing a pillow behind my back … I was happy. But remaining in a box prevents all the discoveries I could be making if I climbed outside. For example, my Twin Flame was present with me in the form of the orb visible in the left bottom corner of the photo. (The camera was facing away from the Sun.) While in my box, I did not know of his presence. In fact, it would be decades before I even noticed the orb in the photograph. Snug in my box, I gave no thought to living in a world that contained unknown beings or various dimensions of reality. I was comfortable; I did not need to consider alternative world views. 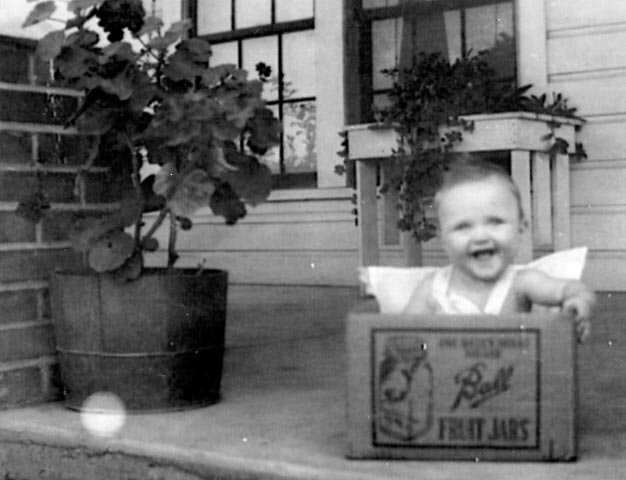 Thankfully, I remained in the box only as long as it took me to learn to climb out. But many others choose to remain in their box, seeking hard to explain away any deviation from the norm by intellectual reasoning. Then in the 1960s, Dr. Elizabeth Kubler-Ross began publicizing her work with death and dying, particularly as it related to near death experiences and what her clients learned of life after death as a result. The traditional medical professionals tried hard to explain away the experiences with some rational, reasonable, intellectual explanation; however those having them knew “in their gut” (a substitute phrase for intuitive knowing) that the experiences were real and life changing. There is far more to life than we were being taught! No longer could these near death experiencers remain in their boxes! Then in the 1990s, we began to hear more about people being abducted by ETs. Once more, the professional establishment was quick to attempt to explain away experiences that changed the lives of those having them. Our lower, or Intellectual Mind, is totally dependent upon the 5 lower senses for proof. Once more, the experiencers know “in their gut” that what they experienced was real. Perhaps this time, we will begin to grasp the fact that Truth does not need to be proven by our 5 lower senses; that the only valid source of Truth comes from our Intuitive, or Higher, Mind. To learn to trust our Intuitive Mind takes us to a higher spiritual level … in Truth, we expand into our Child God-likeness. This expansion of Truth is taking us into the vast cosmic community of which we are an integral part. We are being pushed out of our box, to explore the heretofore invisible world of higher dimensions and much more advanced states of knowledge. As my Twin Flame said when I recently asked him if the orb in the above photo was him: “Did you not know I would come to Earth with you?” I find it very comforting to know that higher beings are with me. You will too, once as we hear stated in the tapes below, you can get past the fear of the unknown. My knowledge of extraterrestrials has come through very loving experiences. I credit having this avenue available to me to the fact that I and my friends in Winston-Salem, N.C., deliberately set about getting to know them. We invited them into our lives. Now, before going to sleep at night, I often ask to go to the space ship on which my Twin Flame is living. I know I go, but I am not allowed to remember much because I would want to stay and my soul mission is to be on Earth at this time. The higher dimensions are filled with loving beings, who are appalled as they behold the destructive ways of Earth humans. They are here to help us save our planet, as Dr. Mack states in the tapes below. They want us to WAKE UP! One very positive step, all of us can take is to prepare to sign the White House Disclosure Petition on January 7, 2015 by setting up an account at: https://petitions.whitehouse.gov/register now. Encourage those you know to do the same. To receive a reply from the White House, we must get 100,000 signatures during the 30 days between January 7 – February 4, 2015. 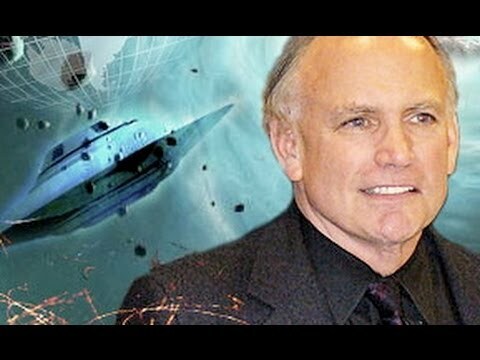 Following Dr. Mack’s short, what I consider an introductory tape, the next 3 tapes are a recording of an appearance by the late Pulitzer Prize winning Harvard Psychiatrist Dr John Mack on Oprah Winfrey’s chat show from the 90’s. 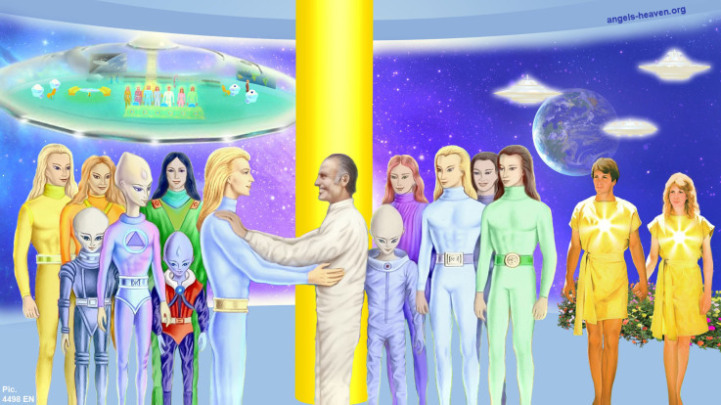 They are discussing the topic of Alien Abduction along with experiencers of the phenomenon. Filed under: Congressional Initiative for Disclosure, Disclosure, Extraterrestrials |	Comments Off on WHAT DO “THEY” …THE ETs … WANT FROM US? WHY SIGN THE WHITE HOUSE PETITION REQUESTING A U.S. CONGRESSIONAL HEARING FOR DISCLOSURE OF THE EXTRATERRESTRIAL PRESENCE WITH US? OF THE EXTRATERRESTRIAL PRESENCE WITH US? 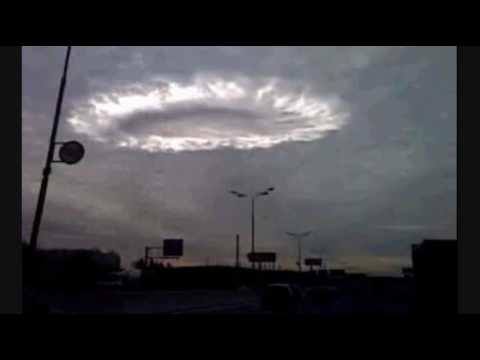 Cloud ship over Moscow – space ships use clouds as one way to be present with us. Jesus’ followers were familiar with these clouds. “The Annunciation” by Carlo Crivelli. 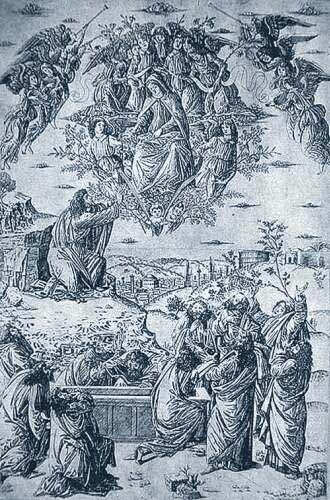 Mary also ascended in a cloud. 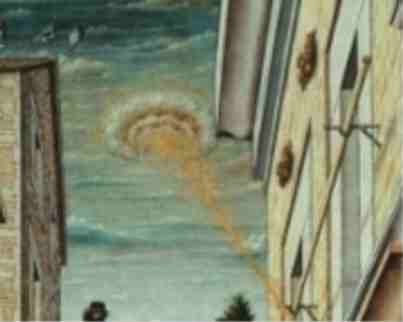 Painted circa 1490 by an unknown artist. “When he had led them out to the vicinity of Bethany, he lifted up his hands and blessed them. While he was blessing them, he left them and was taken up into heaven.” Luke 24:51 Beam me up, Scotty became a catch phrase for us during the days of Star Trek, a popular TV show. Was Jesus beamed up to a space ship? OUR STAR BROTHERS & SISTERS! THE PETITION FOR A CONGRESSIONAL HEARING & DISCLOSURE IS THE NEXT STEP IN REUNITING WITH OUR SPACE FAMILY … TO RESUME RELATIONSHIPS AS THEY WERE EXPERIENCED DURING BIBLICAL TIMES: Go to https://petitions.whitehouse.gov/register and set up your personal account in preparation for signing the Petition on January 7, 2015. In order for this Petition to initiate action from the White House, we must get 100,000 signatures during the 30 days between January 7 – February 4, 2015. Please help us achieve this goal! Filed under: Congressional Initiative for Disclosure, Disclosure |	Comments Off on WHY SIGN THE WHITE HOUSE PETITION REQUESTING A U.S. CONGRESSIONAL HEARING FOR DISCLOSURE OF THE EXTRATERRESTRIAL PRESENCE WITH US? 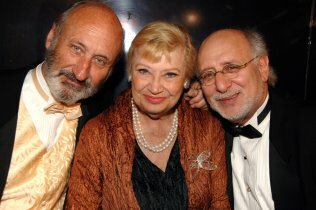 Tonight, after working for disclosure, I watched “50 Years of Peter, Paul, & Mary” on PBS. I remember those years in which all of life as I had known it was changing. 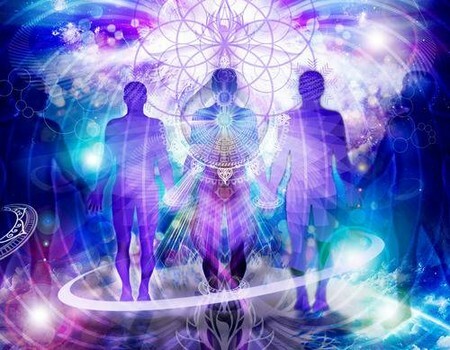 It reminded me of our work for an official disclosure of the extraterrestrial presence with us and how life as we presently know it will change forever–in wondrous ways that will expand tremendously all that we are, all that we know, all that we have. May we begin this very night to hear the cries of humanity … to silence all sounds of violence and war … to see each human being as the unique child of Mother/Father God that they are … to look up and see our Star sisters and brothers … to welcome them with open arms–for they are us and we are them … we share the same DNA, the same Loving Mother/Father God, the same desire to create a better world for all. BEGINNING NOVEMBER 5, 2015 REQUEST A CONGRESSIONAL HEARING ON THE EXTRATERRESTRIAL PRESENCE WITH US! 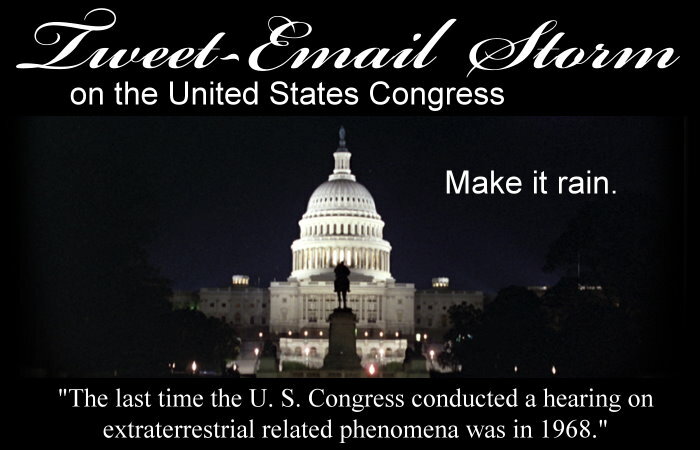 REQUEST A CONGRESSIONAL HEARING ON THE EXTRATERRESTRIAL PRESENCE WITH US! WHY WOULD “WE, THE PEOPLE,” DESIRE A CONGRESSIONAL HEARING? THE UNIVERSE IN WHICH WE LIVE? ABOUT WHICH EARTH HUMANS KNOW VERY LITTLE TO NOTHING. WE ARE ALL STAR BEINGS! WHY WOULD WE NOT YEARN TO REUNITE WITH OUR STAR FAMILY? “YOUR” TWEET, FAX, AND/OR E-MAIL COUNTS! OF GETTING A CONGRESSIONAL HEARING! SIMPLY STATE THE COUNTRY IN WHICH YOU RESIDE! Filed under: Congressional Hearing Initiative, Congressional Initiative for Disclosure |	Comments Off on BEGINNING NOVEMBER 5, 2015 REQUEST A CONGRESSIONAL HEARING ON THE EXTRATERRESTRIAL PRESENCE WITH US! 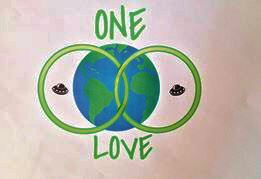 AS PRESSURE FOR DISCLOSURE OF OUR GALACTIC FAMILY’S PRESENCE WITH US INCREASES, DISINFORMATION WILL LIKEWISE INCREASE! Compiled by: Nancy B. Detweiler, M.Ed., M.Div. In May of 2013, Steve Bassett, of the Paradigm Research Group, held a week long Citizens Hearing for Disclosure before six former members of the U.S. Congress. The Hearing was held at the National Press Club in Washington, D.C. If the Congress won’t do it’s job, the people will. Even though 30 hours of irrefutable witness testimony was presented by “researchers, activists, political leaders, and former members of military services and government agencies representing ten countries,” no official governmental disclosure has taken place. Steve Bassett is now planning to take his endeavor to break the Truth Embargo to the halls of Congress. One month before he is set to launch its Congressional Hearing Initiative, the disinformation is moving to a new level of intensity. The following article by Steve is of vital importance for all of us. Much non-truth will be forthcoming by those paid to spread disinformation. The major mainline media is owned by the dark cabal, who are fighting to maintain their power over the people. It is essential that each of us learn to discern truth from disinformation for ourselves. The cabal mixes just enough truth along with lots of disinformation to fool the people. A part of attaining spiritual maturity includes learning to think independently and to discern truth. We remain like sheep until we learn to stand as the god child we are, which means—among other things—we no longer look to an authority to tell us what to think, what to do, and how to act. To be mature spiritually means we stand tall as the unique expression of our Mother/Father God that we were created to be. Steve, and his Paradigm Research Group need the people’s support as they begin the Congressional Hearing Initiative. May each of us intend to join those supporting a demand for the end of the Truth Embargo. Steve reveals some known disinformation agents in the article below. Filed under: Congressional Initiative for Disclosure, Truth Embargo |	Comments Off on AS PRESSURE FOR DISCLOSURE OF OUR GALACTIC FAMILY’S PRESENCE WITH US INCREASES, DISINFORMATION WILL LIKEWISE INCREASE!